This one is one of those many old recipes what I’ve learnt from my Mom, and Ma was taught on the same by my maternal Grand mother. The idea behind this type of food was not to waste the waste, so next time doesn’t through the peels of bottle gourd make this rather, these peels don’t taste bitter. 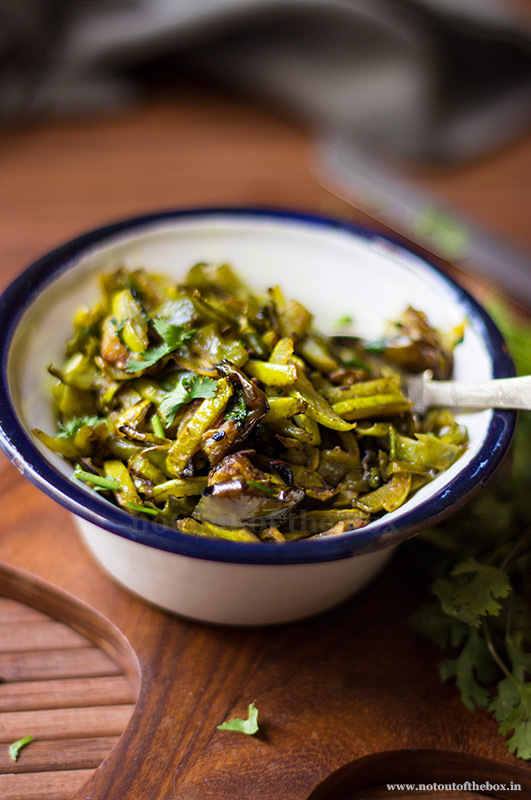 Lau er Khoshabhaja is a less spicy, yet delicious stir fry with all the goodness of seasonal greens and one of my most favourite during the childhood days. Considered as a comfort food Ma used to serve this as a side with dal and steamed rice, but trust me it tastes better minus the dal, mix this stir fry with hot rice only and polish off your plate, just the way I do. Toss the eggplant cubes with ¼ tsp turmeric powder and ½ tsp of salt. Keep aside. 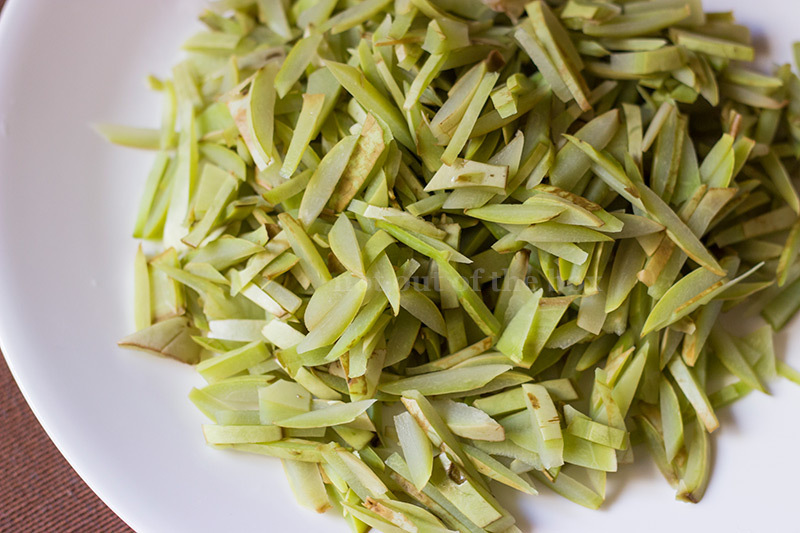 Cut the peels of bottle gourd into thin strips (check picture for reference). Wash well, now in a pan, add the chopped peels and water with ½ tsp of salt. Cover and boil until tender but still firm, care should be taken not to overcook them. Strain and keep aside. Chop off small portions from both ends of the flat beans; cut them horizontally into thick strips. Wash well and keep aside. 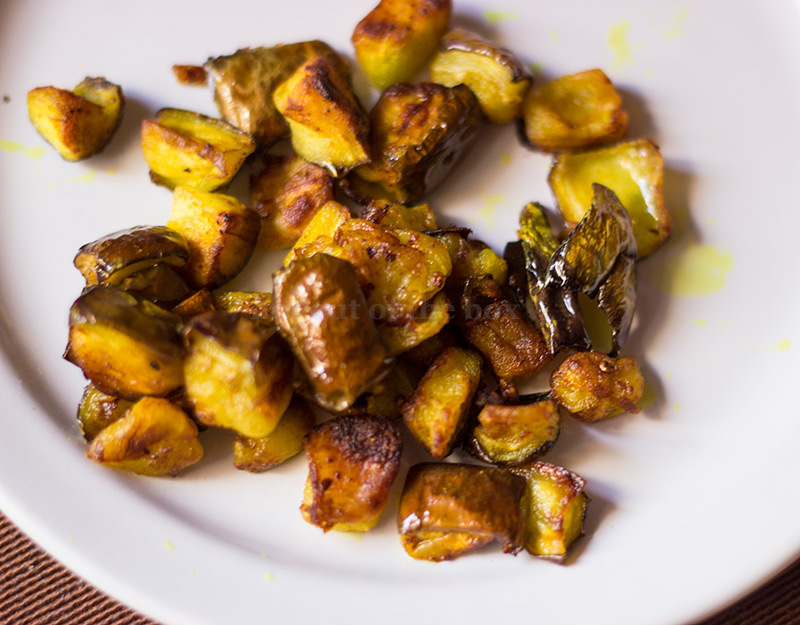 Heat ¼ cup oil in a deep frying pan/kadai, add the eggplant cubes and fry on medium heat until golden brown in color. Remove and keep aside. Now heat 2 tbsp oil in the same pan. Temper with Nigella seeds. Once it splutters add the chopped flat beans, ¼ tsp turmeric powder and salt. Mix, cover and cook on medium heat for 3-4 minutes. 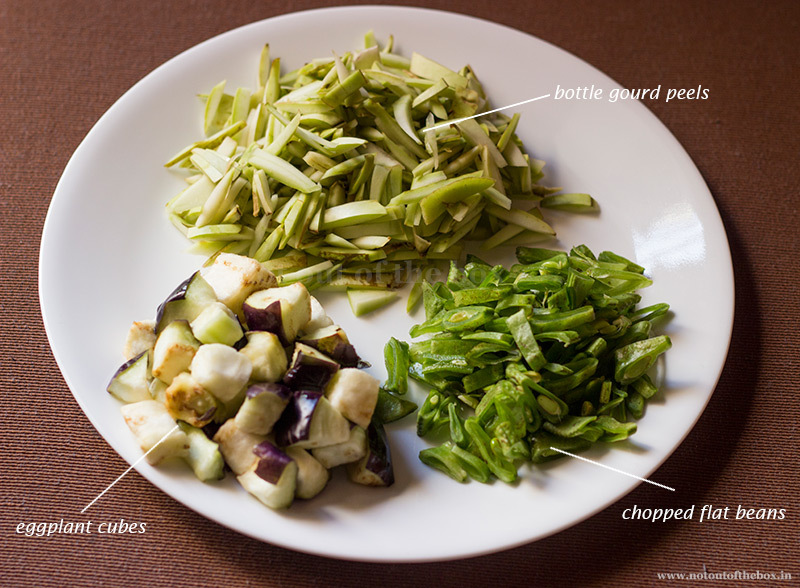 Now add the boiled bottle gourd peels, mix well, cover and cook further until the flat beans are done. Adjust salt if needed. Add fried eggplant cubes, chopped coriander leaves and sugar. Mix well and fry on low heat (uncovered) for 2-3 minutes more. Your Lau er Khoshabhaja is done. 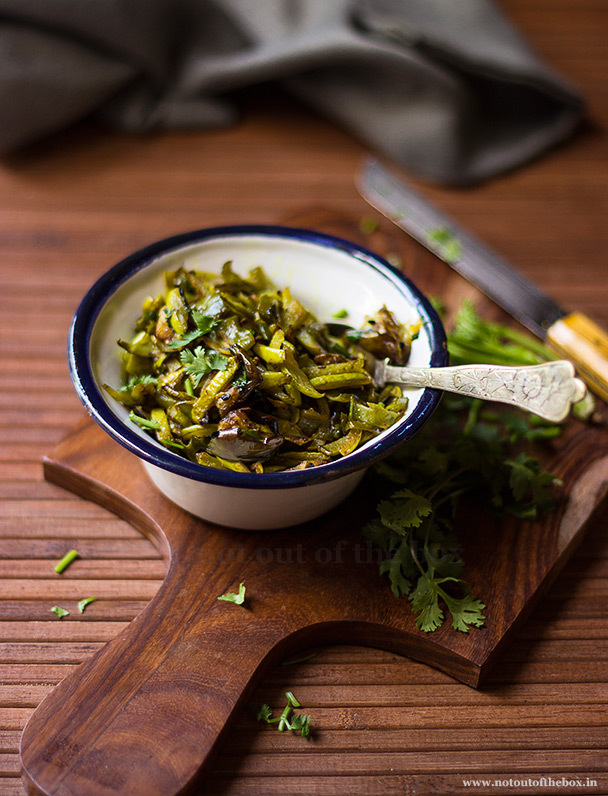 Serve this as a side dish with dal and steamed rice.